Christopher Warren Waters is a St. Petersburg native who was born and raised in the Tampa Bay area. He completed his undergraduate studies at the University of South Florida, graduating with honors as a member of the USF Football team and several other collegiate groups (including President of the USF Wakeboard Club). After being accepted into several of the countries well-known law schools, Chris decided to continue his education in North Florida. 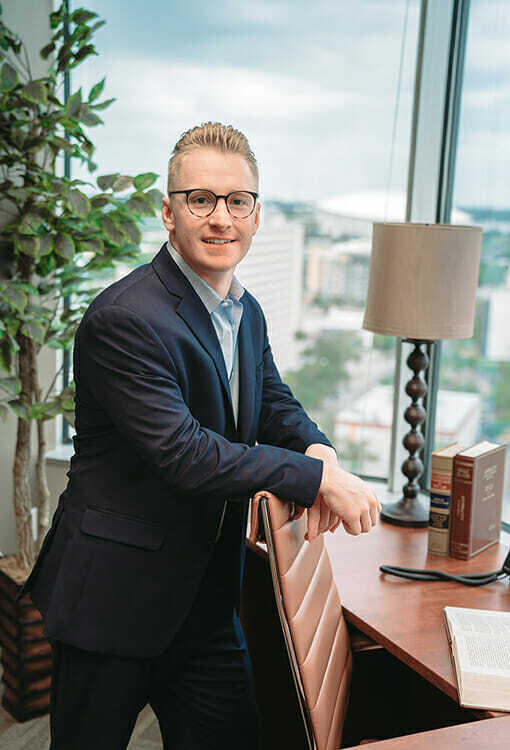 He spent three years in Jacksonville, earning his law degree at Florida Coastal School of Law, while simultaneously completing his MBA degree at Jacksonville University. Chris Waters was duly sworn into the Florida Bar in November of 2016 and currently practices personal injury and civil litigation with a focus in complex car accident cases. He is currently one of Pipas Law’s attorneys that works both pre-suit cases and litigation/trial cases. When not at work, Chris can often be found boating throughout the beautiful waters of Tampa Bay, flipping out on his wakeboard, or cheering on one of our local sports teams. Learn more about St. Pete Personal Injury Attorney Chris Waters on his Personal Injury Blog.